Looking for a little family getaway? 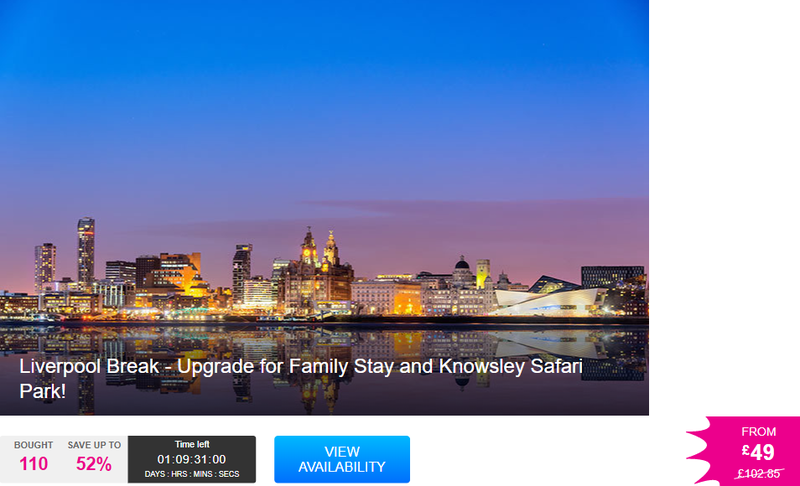 Check out this great deal over at Wowcher for an overnight stay in Liverpool with the option to add on tickets for Knowsley Safari Park. What’s included: An overnight stay for two people with bottle of wine and breakfast, or a one or two-night stay for a family of four with breakfast and two children’s tickets to Knowsley Safari Park. Hotel: Stay at the Holiday Inn Express Liverpool-Knowsley. 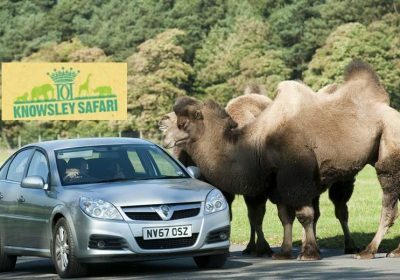 Safari Park: Enjoy a family day out at Knowsley Safari Park and see the tigers, wolves, bugs and bats that call the park home. Additional info: Adult tickets £17.50pp for entry to safari park. Travel period: Valid for stays until 30th June 2018.